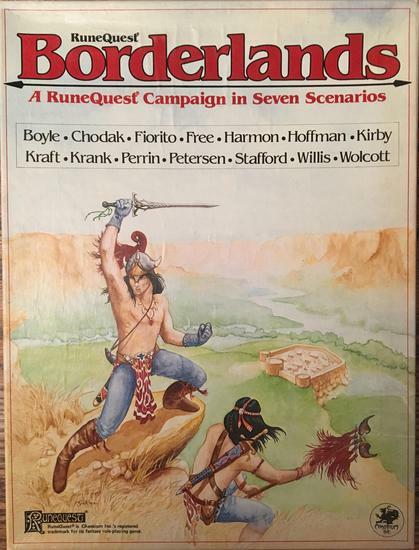 Borderlands is an adventure supplement for the RuneQuest role playing game, and is set in Greg Stafford’s world of Glorantha. 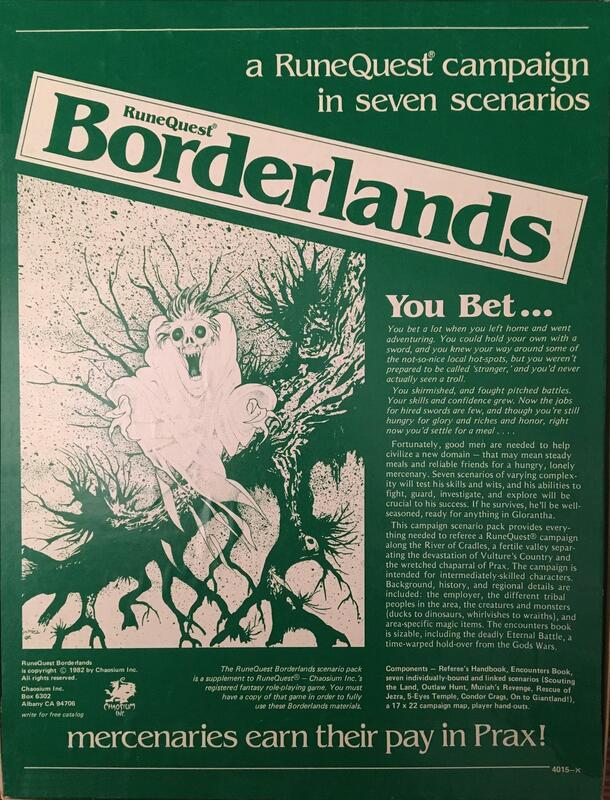 Here’s the description for the PDF edition of Borderlands from the website. Copies are just $14.99. 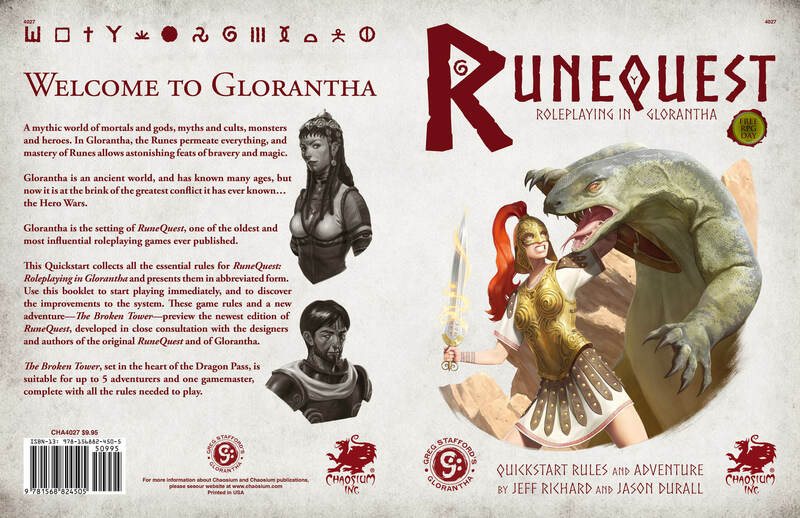 See all the details and order copies directly from the Chaosium website. 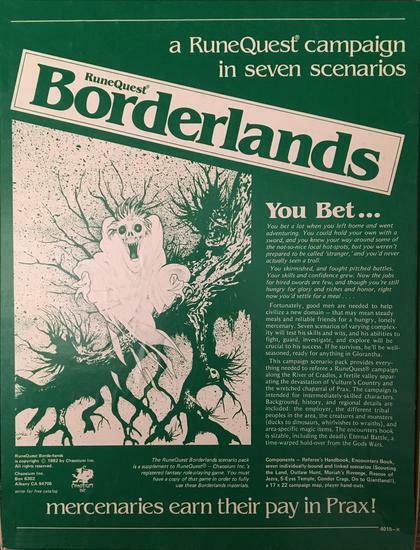 Borderlands was written by a team of writers, including Lynn Willis, Sandy Petersen, Greg Stafford, Steve Perrin and Reid Hoffman, and published by Chaosium in 1982. See all of our recent Game coverage here. I keep hoping that print-on-demand technology reaches the point where they can start accurately reproducing the boxed sets of yore, complete with cardstock handouts and 17″x22″ maps. I’ve always been proud to have been a (small) part of that project. Wouldn’t that be something? I’d be happy with being able to print those gorgeous maps! And maybe the player sheets. > I’ve always been proud to have been a (small) part of that project. Glad to hear that! What did you contribute? Tell us more. I was one of many contributers and I’ll always be grateful to Greg Stafford and Steve Perrin for letting me be a part of that team. 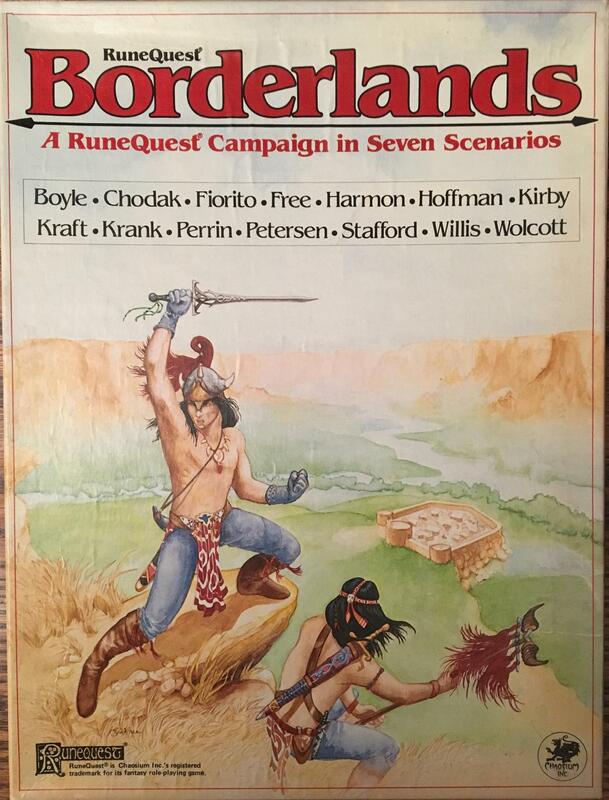 I started playing RQ back in 1978 and played many other systems as well, but I never saw any supplement for any game system that was better at getting people to role play their characters than Chaosium’s Borderlands. 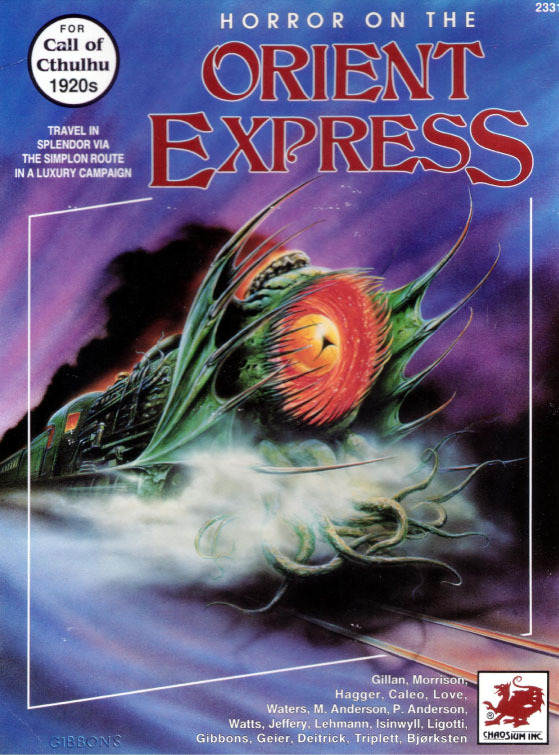 I don’t have any stories about what happened behind the scenes; Chaosium was a West Coast operation at that time and I live in Philadelphia. 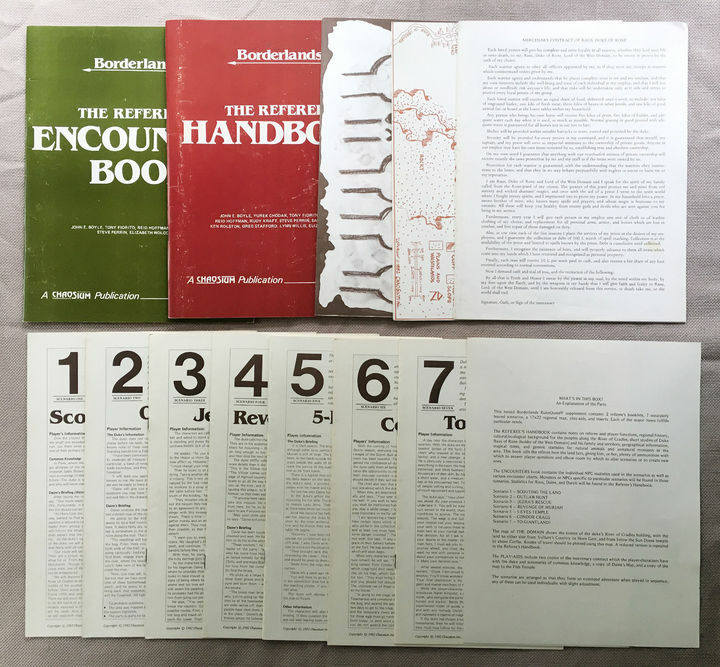 This box set was the last RQ supplement released before Avalon Hill bought RQ, and I’m delighted to see it back in print.